Terrorism does not appear to be high on the priority list for the Department of Homeland Security after a series of attacks in the U.S. by militant Islamists, most recently in Ohio. In fiscal year 2015, only two of the 176,397 removal orders requested by the Department of Homeland Security (DHS) were based on terrorism concerns, according to government figures released this month by the Transactional Records Access Clearinghouse (TRAC). In August 2016, Judicial Watch reported that the Obama administration gave Somali Muslims behind-the-scenes tours at a major U.S. airport after the group complained to Homeland Security Secretary Jeh Johnson about feeling harassed and profiled. 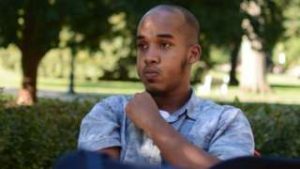 Islamic State of Iraq and Levant (ISIL) said through its propaganda channel on Nov. 29 that Somali refugee Abdul Razak Ali Artan, who carried out the attack at Ohio State University on Nov. 28, was inspired by the terrorist organization. “The executor of the attack in the American state of Ohio is a soldier of the Islamic State and he carried out the operation in response to calls to target citizens of international coalition countries,” a claim issued by the Amaq news agency said. Artan drove a car into students, faculty members and others who congregated in a courtyard after a fire alarm was pulled to signal a gas leak, and the building was evacuated. Police declined to comment on how the alarm was triggered. They also won’t say whether Artan, who was alone in the car, might have had help from anyone. After plowing his car into the crowd, Artan stabbed several people with a butcher knife. Eleven people were hospitalized in the attack. An officer involved in the investigation told NBC a post appeared on a Facebook page believed to belong to Artan saying “I can’t take it anymore” and referencing “lone wolf attacks” and Al Qaida cleric Anwar al-Awlaki. Artan, who was killed by a first responder, was a Somali refugee who was living in the U.S. as a legal permanent resident. In December 2015, a Somali man who worked at a Minnesota airport as a baggage handler bragged about building rockets that could strike landing planes, Judicial Watch reported. The Somali man, 20-year-old Abdirizak Mohamed Warsame, was charged with conspiracy to help ISIL. He became the 10th Somali man to be charged with terrorism in Minnesota in a very short period of time.